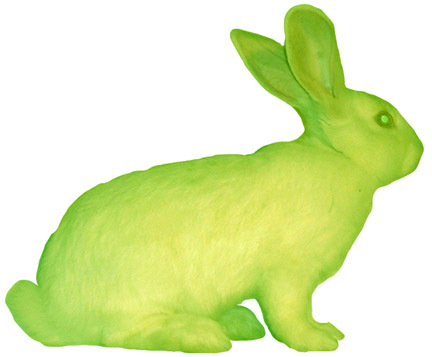 I think I'm quite scared of the green bunny. It's just so wrong. The bunny is not my friend. I'm glad I entertain you! At least htat way it's not just me in fits of giggles!